The professional SQL database administration and reports generation software. 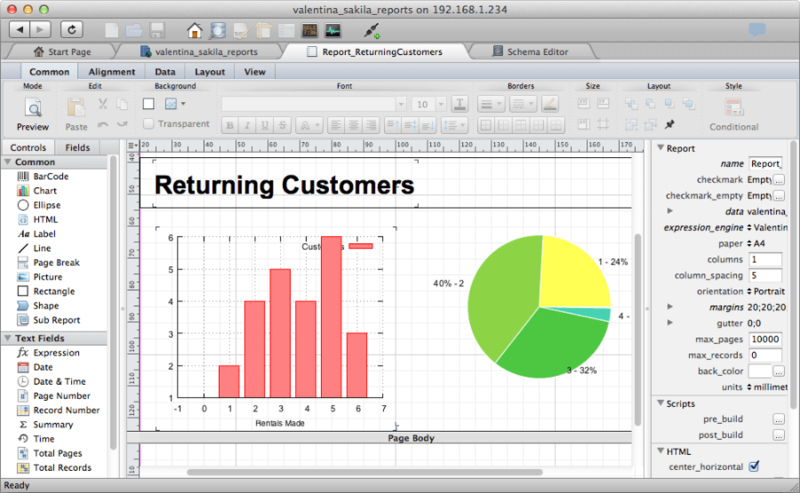 Valentina Studio Pro brings together the best database administration and design tool along with a powerful, visual Report Designer for use with Valentina Reports ADK for Xojo and Valentina Server. Localization. German and Russian, with Japanese on the way! 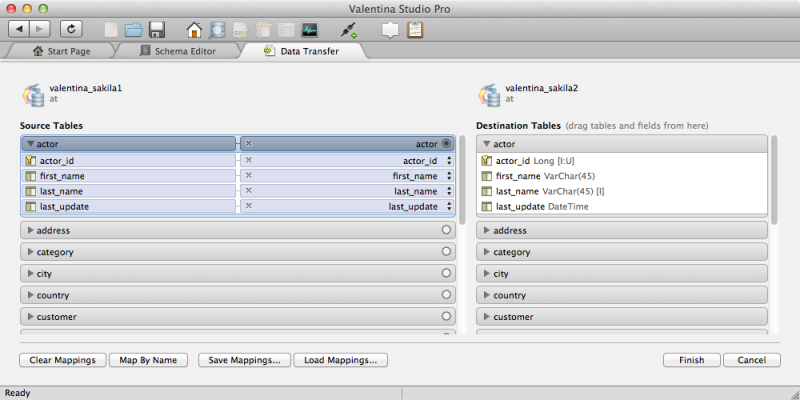 Valentina Studio Pro is available for Windows, Mac OS X and Linux. Your order of Omegabundle for Xojo includes your choice of one operating system version. 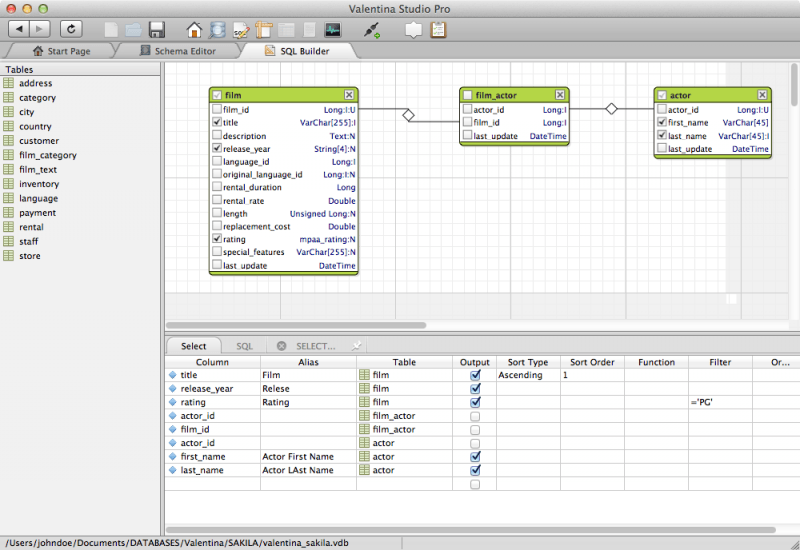 Model databases visually with the premier Database Schema Editor reverse and forward engineering tool. Generate diagrams automatically from existing databases. Add new elements visually with PRO. Transforms queries into visually stunning enterprise reports with full suite of design elements: charts, graphs, barcodes, grids, images, html objects, labels, text boxes and more. Reports are saved into Valentina Projects. 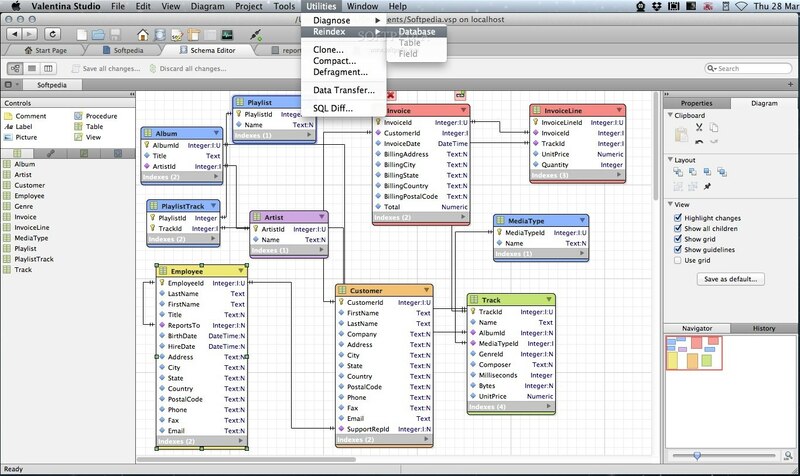 Build SQL queries visually with Query Builder. Work directly with tables and links that are a part of the query you want to create. Copy-Paste your generated queries with PRO. Copy records between two different databases. This feature is different from simply importing data. Use Data Transfer to choose one database as a Source. Then choose another database to be the target database. You can then specify mapping of source/target tables and fields and load records from db1 to db2. 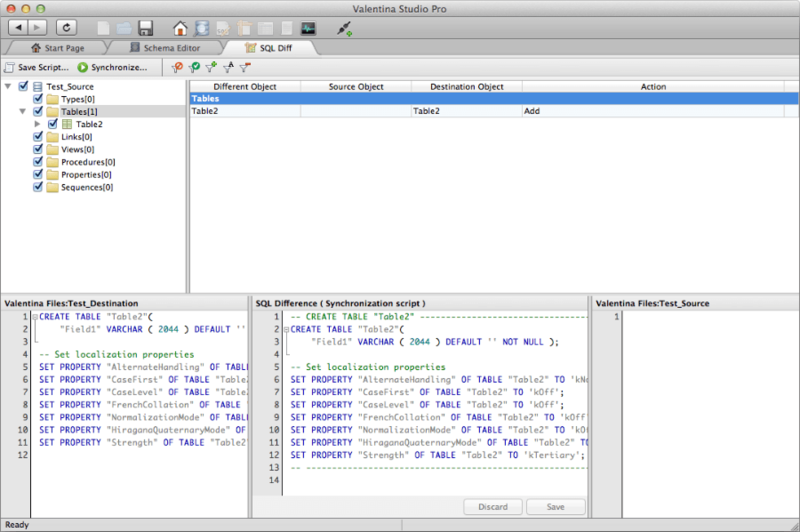 Compare schemas of two databases and produce SQL scripts that can transform the first schema into the second. Apply changes directly to the first database. These are the Valentina Studio System Requirements for Valentina Studio 6 or later.